Discussion in 'News' started by Zhynx_, Nov 5, 2015. 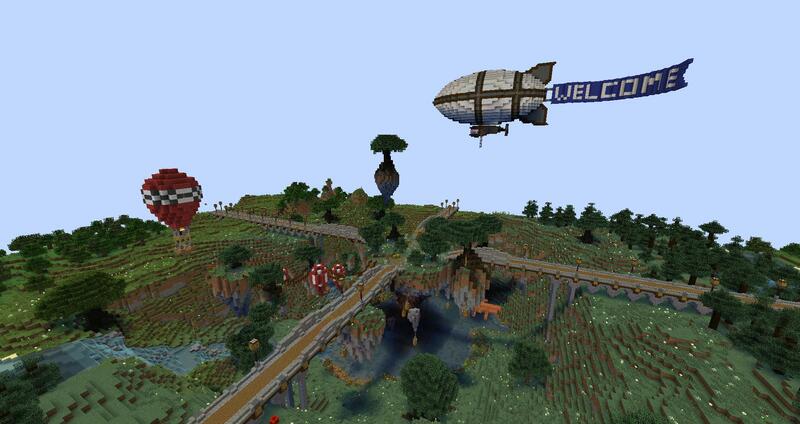 We have officially changed our name from the 'Minecraft Monday Server' to 'The Vox Server'. Along with this change comes many new possibilities and we have tons of fun events scheduled. Stay tuned for more information! As most of you know there have been a few changes to the staff team here on the Minecraft Monday's server. With the addition of Animarelic and myself to the administration team, as well as a few changes among our Senior Moderators and Moderators, we are alive and kicking on all cylinders yet again. Here on The Vox Server we have decided to remove the Guest rank and take away any restrictions of players joining our community. However, whenever you join the server you automatically agree to the server rules. If you are caught breaking our rules, you risk temporary removal from the server. Thanks to the very diligent work done by one of our very own builders, Crommie, we have implemented a brand new spawn to the survival world. In order to see this creation you must enter the survival portal at the hub and execute the command /spawn. We are always looking for ways to improve the server and lately we have noticed a lack of players. It is important to all of us that the community is happy and can be kept busy enjoying themselves on our server. Ideas of any kind are extremely beneficial and will not only help us, but it will make the server a more enjoyable experience for everyone in the near future. A link will be provided below to submit your ideas. Remember, your ideas are important, please do not hesitate to give us any.